Dogs have been the best and most loyal friends of humans for centuries, guarding, guiding them and helping in their work. One man from Poland Michal Kielbasinski, decided it’s time to say thank you to them. The way he chose to express this gratitude is very daring and dangerous but that’s the way Michal is – he loves adventure, challenge and extreme sports. Michal, who lives in the Polish city of Lodz, is an adventure racer and ultra runner – running several hundred kilometre super marathons. He is now in the Yukon Territory in Canada – the land of snow and cold, to run along the route of the world famous Yukon Quest – a dog sled competition. It’s the famous route of trappers, gold-diggers and of adventures – 1000 miles from Whitehorse, Yukon to Fairbanks, Alaska. 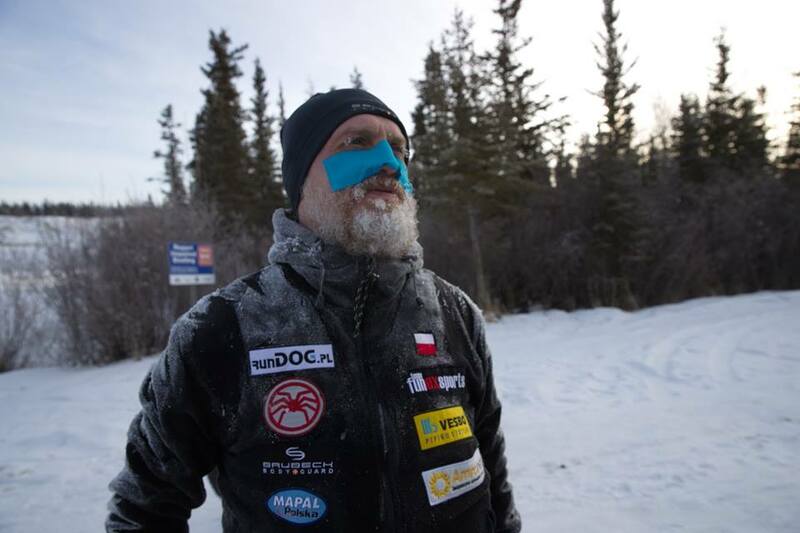 He attempted this in 2015 – with no charity goal then but extremely low temperatures of nearly – 50 degrees C caused severe frostbite and he landed in the Whitehorse hospital. This time Michal’s project is called “runDog” – for every kilometre he runs, people can donate money which will help dogs in shelters in Poland.